Over the next week, dive into the Scottish art and antiques scene first-hand, or go online to snap up treasures such as a Highland light infantry shako. 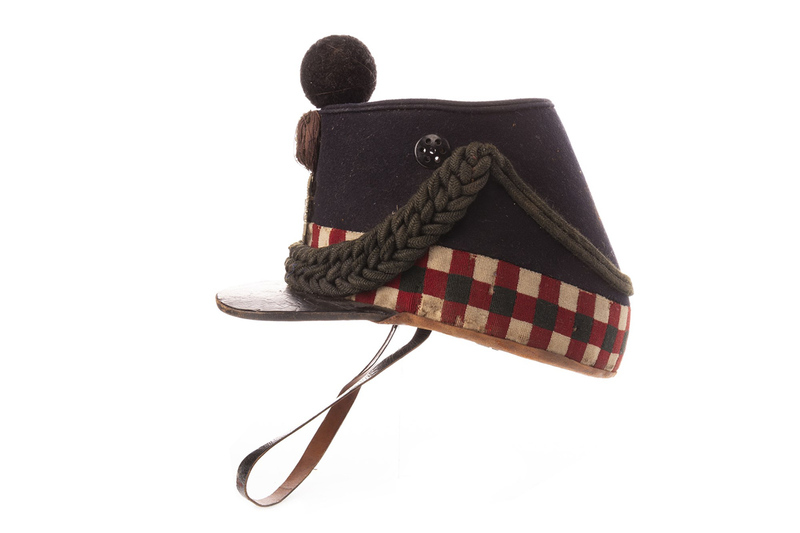 A Highland light infantry shako estimated at £600-700 in McTear’s timed sale of Works of Art & Furniture online, ending December 2. Here we have a look at five highlights from around the auction and art gallery scene in Edinburgh, Glasgow, and Dumfries. 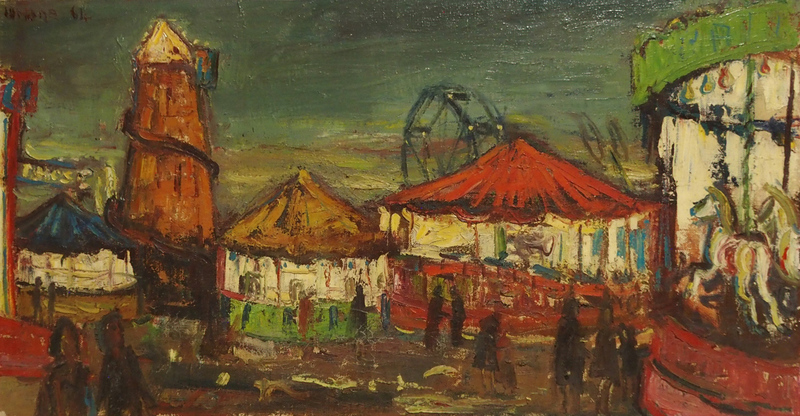 ‘Fairground’, a scene by musician-artist Herbert Bannister Whone, is estimated at £3000-5000 in Great Western Auctions two-day sale, starting today. Glasgow saleroom Great Western Auctions' huge sale of fine art and antiques, starts today and concludes tomorrow. It comprises Asian art, silver, collectables, ceramics, furniture and more, such as a painting of a fairground dated 1964. It is the work of British painter Herbert Bannister Whone. After studying violin at the Royal Manchester College of Music he served in the RAF for three years during the war. Afterwards he was a member of the BBC Symphony Orchestra and the Scottish National Orchestra, where he was deputy leader for seven years. His artworks include cartoon illustrations and photography, but he started painting while living in Glasgow, completing portraits of his musician colleagues as well as depictions of he city. This oil on canvas has an estimate of £3000-5000. Lyon & Turnbull hosts two auctions at its Edinburgh saleroom next week: one featuring jewellery, silver and watches, and the other whisky and spirits. 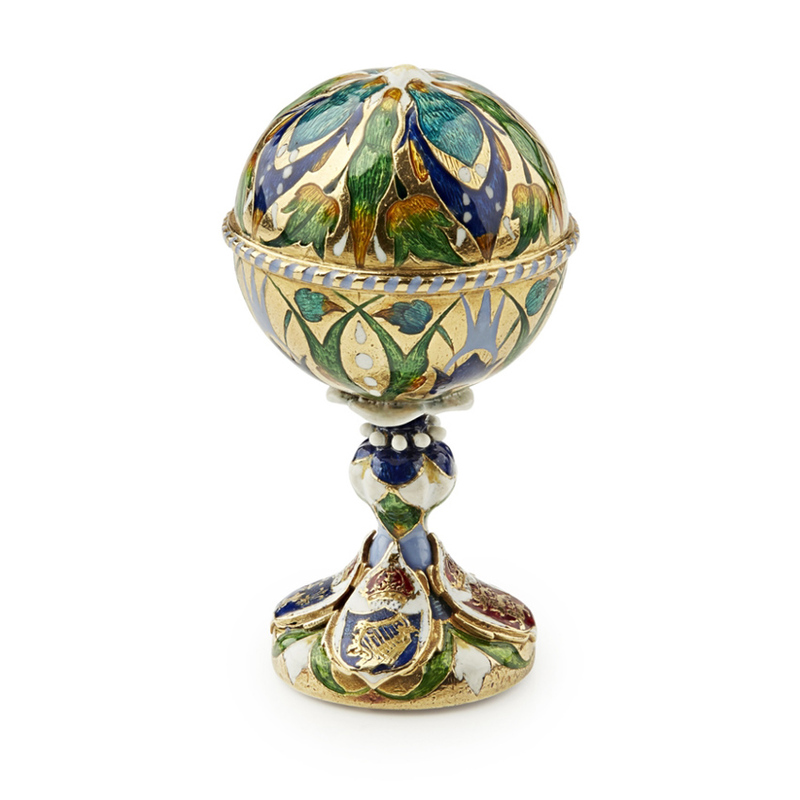 The former features an unmarked, early 19th century gold and enamel desk seal formed as a sphere and decorated with stylised flowers. The base is enamelled with the arms of the kingdoms of England, Scotland, Ireland and France and each of these is ensigned with an imperial crown. 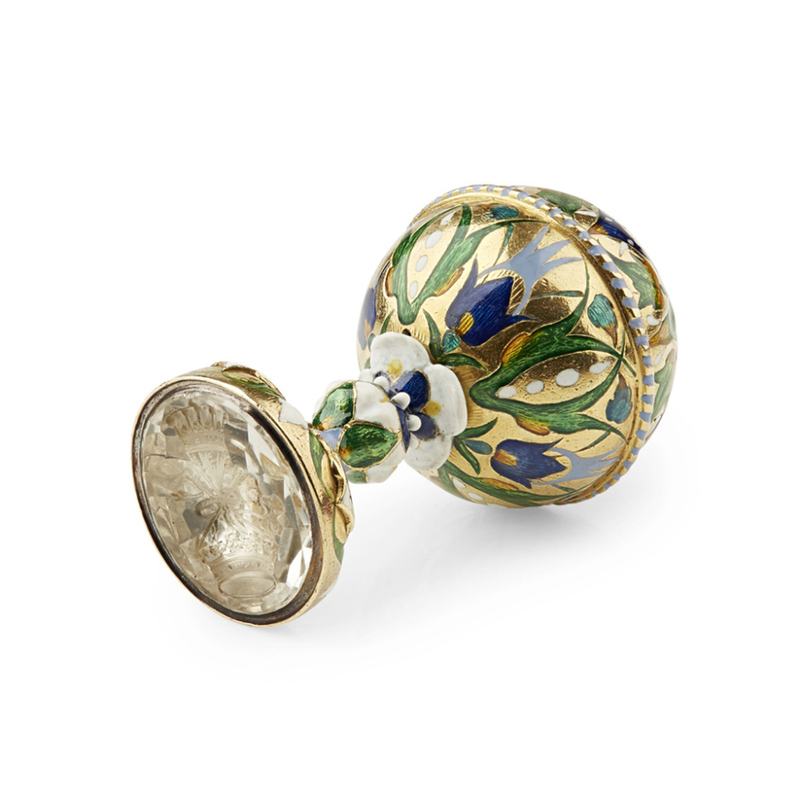 Measuring just 5.4cm high, it also features carved crystal intaglio to the underside. This is engraved with the crest of the Ponsonby family, Earls of Bessborough. It is believed to have been owned by Frederick Ponsonby and his son John William, the third and fourth earl. It has an estimate of £6000-8000. If you’re keen to get in on the Scottish auction scene but can’t make it up there in the next week, try one of the timed online auctions by Glasgow firm McTear’s, which currently include sales featuring antiques, whisky malts, British and international pictures, wine and jewellery. 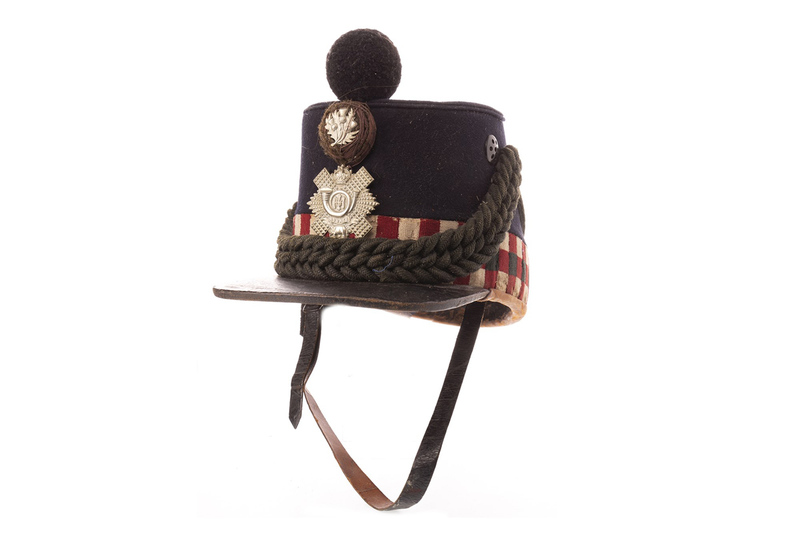 A Highland light infantry shako from 1907 is among the offerings in its works of art and furniture sale, which closes on December 2. It has a King’s Crown Highland Light Infantry cap badge with a label to interior reading Myers & Co. It is estimated at £600-700. 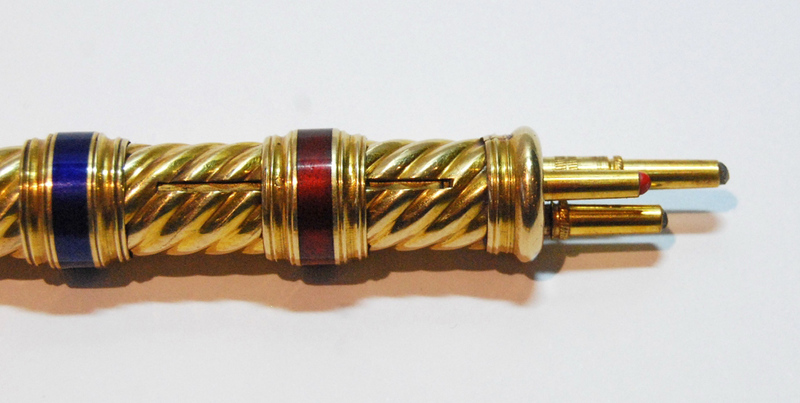 A 15ct gold propelling pencil with enamelled slides for red, blue and black leads is included in Thomson Roddick’s Antiques & Works of Art sale in Dumfries on December 8. It has spirally fluted decoration and was made by S Mordan & Co in 190. 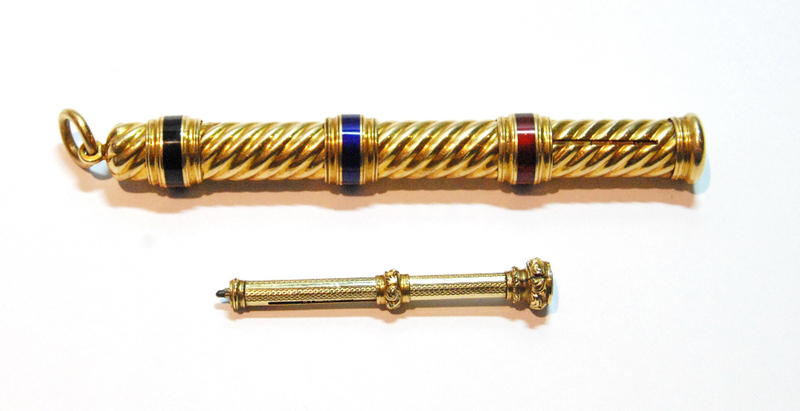 It is offered with a another, smaller gold pencil, engine turned with gem finials. The lot is estimated at £500-700. 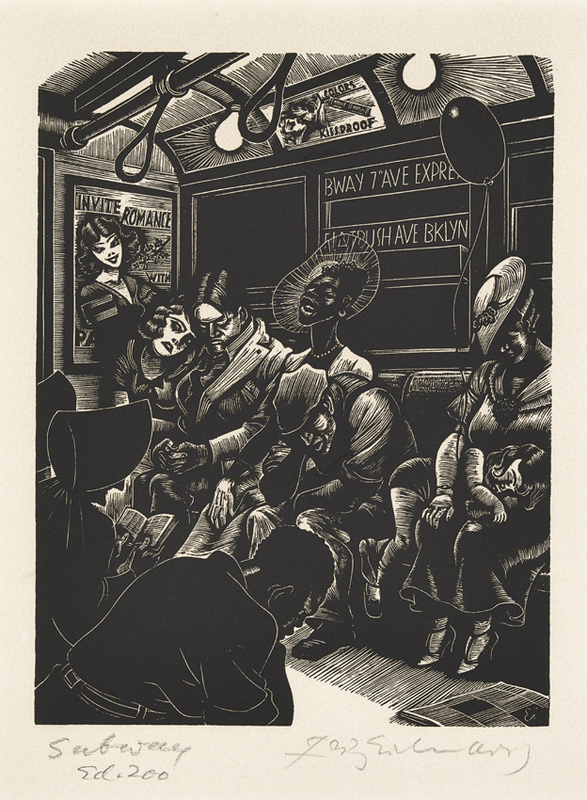 Fritz Eichenberg’s ‘The Subway’ is among the works for sale at the Fine Art Society in Edinburgh’s exhibition The Black and White Show. The gallery Fine Art Society in Edinburgh regularly uses its two floors to present a pair of simultaneous exhibitions. Running until December 22 are Tom Pomeroy – Marble Slate and Wood and The Black and White Show. The latter features works selected from 200 years of Scottish art, including pencil drawings, woodcuts and works in pen and wash, priced from £190-5500. It includes Fritz Eichenber’s The Subway from 1934.